In the context of the International Seminar on Capitalism held in Sao Paulo, “The Dawn News” interviewed Maher Taher, Foreign Relations Secretary of the “Popular Front for the Liberation of Palestine” who studied in Baghdad, Iraq and obtained his PhD in Political Science in Russia. What ideology does the Palestinian Popular Liberation Front have? At the beginning the Popular Front for the Liberation of Palestine was the Palestine branch of the Arab Nationalist Movement. It was formed in 1951 by Doctor George Habash, and it was a National Pan-Arab Movement. In that context, the People’s Front adopted Marxism as their ideology. What type of resistance do people currently employ in Palestine? Every possible type of resistance is being employed now in Palestine. There are different ideas among Palestinians —for example, President Mahmoud Abbas does not believe in the armed struggle against the Israelis. The People’s Liberation Front and other organizations still believe in all types of struggle, including the military struggle because, according to our belief, Israel does not really want peace and they want to control everything in Palestine. In fact, Israel has a front of struggle against Hamas and the Islamic Jihad, and Israel is responsible for Gaza bombing, right? Yes of course. There are thousands of members of the People’s Liberation Front in Gaza. The General Secretary of the organization was killed in Ramallah by the Israelis and when the three wars of Gaza occurred, all the organizations were there but Israel wanted to show the world that there was only a conflict between Hamas and Islam on religious bases, they didn’t want the world to know it was a conflict between Palestine and Israel. Israel want to give the world a false picture that they were fighting Islamic fundamentalism by fighting Hamas. But in fact they are fighting against Palestinian people. And the Palestinian people are confronting them. What will the list for the next elections be like? For the next elections, which are now postponed, we were planning to form a list of the left: with left-wing groups like the People’s Movement, the Democratic Front and the People’s Party: all of them want to make a unified list for the elections. There is another wing with Hamas and another with Fatah —from Mahmoud Abbas—. There is also another group called the National Initiative, led by Mustafa Barghouti. And there’s the FIDA: the Palestinian Democratic Union, lead by Saleh Ra’fat. Our aim is to introduce a fair direction in Palestine (with Hamas and Fatah and the Left) but the election is postponed, anyways. How is the situation of the Palestinian prisoners who embarked on a Hunger Strike? Israel has very dangerous practices: we have 7,000 prisoners and they have judges against them. For example, the General Secretary of the People’s Front, Ahmad Sa’adat, was sentenced to 30 years in prison. Another comrade, Bilal Kayed, who has participated in military actions against the settlers, was sentenced with 14 and a half years in prison. Now Israel made a new law, called the Administrative Detention. When the prisoner has done their time in jail, Israel will not release them, they keep them in prison according to this new law, which is a very strange law… And this is under the responsibility of the Israeli Minister of Defense. This means that Israel has sentenced all the prisoners with a life imprisonment. This administrative detention can be prolonged indefinitely: for example a 6-month detention could be increased to up to 50 years in jail by adding 6-month terms. That’s why prisoners are starting hunger strikes. Our comrade Bilal Kayed started this. He did his 14 years in prison, so he should have been released but Israel refused and they prolonged this detention; so he started the hunger strike and continued it for 70 days, and all the other prisoners joined in solidarity and also started hunger strikes. Now Israel says that his administrative detention will only be in force for 6 months, and he is supposed to be released on December. This is a great victory for the prisoners and now others have also started hunger strikes, so this is a continuous process. The aim is to prevent Israel from using these administrative detentions. Is there any other method to fight against administrative detentions? We, as an organization, have to bring this up to the international community, international organizations and human rights organizations. This law in any case was taken from the French who applied this law in Algeria against the revolution. We are trying to struggle by all means against this law. It’s a very discriminative law. There is no fundament nor cause for this law. This is the decision of the Minister of Defense —this man decides who should stay in jail for 20 years, even without a trial. What’s the situation like in Gaza? though sometimes they open them. Patients who want to leave to receive medical treatment, can’t, as well as students who want to go abroad to study. People can’t move. This is an embargo (blockade) on 1,700, 000 people in a very small space, 365 km² —it’s the most crowded place in the world. It’s like a big jail for them. 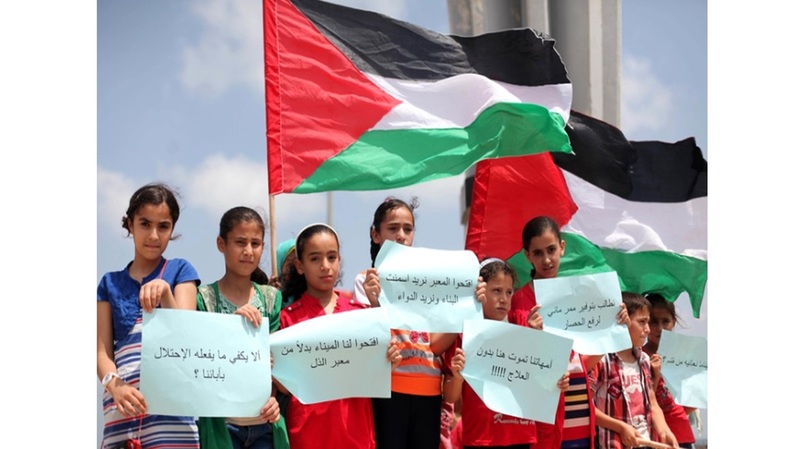 What’s the role of international solidarity in the Palestinian struggle? Now, there has been a great campaign to boycott the production from Palestine’s settlers. It has succeeded. The boycott is especially active in Europe. We call upon activists and academics from universities to join the boycott against Israel. This was also successful in many Universities. We received solidarity through demonstrations, through letters sent to the UN, through Human Rights Organizations and through solidarity with our prisoners and also financial support and medical care sent to Gaza. Cadiz, provincial capital in the autonomous community of Andalusia in the Spanish state, has become the latest municipality to pass a motion supporting the Palestinian-led Boycott, Divestment and Sanctions (BDS) movement for Palestinian rights and declaring itself an Israeli “Apartheid Free Zone”. With a population of 120,000, Cadiz joins more than 50 cities and towns across the Spanish state which have voted to declare themselves spaces free from Israeli apartheid. Other famous Apartheid Free municipalities include Gran Canaria, Santiago de Compostela, Xixón-Gijón, Sevilla, Córdoba and Santa Eulària in Ibiza. Inspired in part by a similar campaign during the struggle against apartheid in South Africa in the 1980s, the Israeli Apartheid Free Zone campaign, led by the Solidarity Network Against the Occupation of Palestine (RESCOP), seeks to create ‘islands of political consciousness’ and to break local ties with Israel’s regime of occupation, settler-colonialism and apartheid, as well as with international corporations and institutions that are complicit in the maintenance of Israel’s violations of international law. The campaign, which is supported by social movements, businesses, schools, media and public institutions from across the Spanish state, has created a map indicating spaces free from Israeli apartheid. By declaring themselves Israeli Apartheid Free Zones, local authorities agree to boycott corporations complicit in violations of international law and the rights of Palestinians as well as break ties with the Israeli regime and its complicit institutions. They will also support local awareness raising efforts and commit to conscientious procurement policies based on the human rights of the Palestinian people. Attacks on a movement for freedom, justice and equalityGrowing public support for the BDS movement for Palestinian human rights has prompted Israel and its allies to launch an unprecedented, well-funded and anti-democratic attack against everyone seeking to hold Israel accountable to international law and UN resolutions, especially through BDS advocacy. The Israeli-sponsored attacks on the BDS movement aim to put pressure on governments, legislators and officials to curtail BDS civic actions and adopt repressive measures that infringe upon their respective citizens’ civil and political liberties at large. In the Spanish state, attempts to silence the BDS movement, particularly on an institutional level, have been led by ACOM, a pro-Israeli Madrid-based lobby group. ACOM has launched a number of legal appeals against local councils that have declared themselves Israeli Apartheid Free Zones. However, ACOM’s strategy of intimidation has not been successful. Targeted cities have defended the democratic outcome of the votes, and informed courts, such as the First Administrative Court of Gijon, refused to accept ACOM’s complaints. Similar legal charges were lodged against three local councils in the UK by the so-called Jewish Human Rights Watch, a London based Israel lobby group. Also there, the UK High Court rejected the complaints and ruled in favour of the three local councils which had passed resolutions in support of targeted boycotts of Israel’s occupation. This latest decision by the city of Cadiz to join the inspiring wave of other Spanish cities and towns in declaring themselves zones free from Israeli apartheid is a sign that citizens and elected representatives are not intimidated by ACOM’s legal threats. “By supporting the BDS movement for Palestinian rights and choosing not to engage with institutions and corporations directly involved in Israel’s egregious crimes against the Palestinian people, people of conscience and municipalities across the Spanish state are taking a concrete step to hold Israel accountable for its crimes against the Palestinian people,” Riya Hassan concluded. El régimen de Israel arrestó durante el pasado mes de agosto a 30 menores de edad palestinos, que en su mayoría fueron objeto de torturas y maltratos. Así lo informó el lunes el Comité para Asuntos de los Prisioneros Palestinos en un informe en el que denunció que los militares israelíes recibieron cerca de 1800 dólares de multa de las familias de los adolescentes recluidos. La mayoría de los niños detenidos, según recogió la agencia palestina Maan, fueron objetos de golpes, torturas y negligencia médica durante su detención, custodia, interrogatorio y transporte desde un centro de detención a otro. La nota que cita a un abogado suyo, Luay Akka, precisó que 17 de los niños fueron retenidos de sus casas en redadas militares, cinco fueron detenidos en las calles, cuatro en los puestos de control militar, y cuatro se entregaron voluntariamente a centros de detención tras recibir citaciones por parte de las autoridades israelíes. Los niños fueron retenidos bajo sospechas de lanzar piedras contra los militares israelíes. Mousa Khanafsa, un niño de 14 años de edad, relató a Akka que fue violentamente golpeado por militares israelíes cuando fue detenido en la calle cerca de su casa en un poblado en la ocupada Cisjordania. Entre los retenidos habían niños de incluso 13 años de edad, subrayó el organismo palestino, agregando que tres de los 30 menores fueron sometidos a detención administrativa, figura que permite retener a un sospechoso sin presentar cargos por periodos renovables de hasta seis meses. El resto de los niños detenidos fueron condenados a penas entre 1 y 45 meses de cárcel tras audiencias en los tribunales. De lo que va del año, los uniformados israelíes han retenido a unos 560 niños en Al-Quds (Jerusalén), de los cuales, 110, incluidas cuatro niñas, siguen encarcelados, de acuerdo con el referido comité palestino. Las autoridades y fuentes palestinas han denunciado en varias ocasiones los malos tratos y hasta las torturas que el régimen israelí aplica a los casi 7000 palestinos presos. Ben Ehrenreich, an American journalist with an eye for the ironic an ear for the perfect succinct phrase, has created pictures of both village and town life of Palestine under the occupation, behind the Apartheid Wall, and inner walls. “The Way to the Spring” begins in 2011, when the author first visited Nabi Saleh to report on the village protests for the New York Times Magazine, and ends in the fall of 2014, following Israel’s Operation Protective Edge in the Gaza Strip that summer. Ehrenreich lived in the West Bank intermittently between 2011 and 2014, absorbing the world of Palestine, so different from Los Angeles, his home base. He starts small: a village, a surrounded house, a Friday protest. Since the occupation is about containing people, taking their land, draining their wells, destroying their cultural sites, The Israeli government speaks through different kinds of walls, permanent checkpoints, and flying checks. Ehrenreich shows his reader the physical walls, but further, the subtleties of verbal walls and the walls of armed IDF soldiers and Border police who keep Palestinians out of reach of hospitals, businesses, cultural centers, and even the holy places in Jerusalem and the West Bank. First, and most obvious, the Separation Wall, called by Palestinian activists the Apartheid Wall. The average height of the Berlin Wall was 11.8 feet, whereas the current height of Israel’s Wall is more than twice as high: 25 feet. One of the joys of this book is that the author does not spend his time reviewing readily available material. Copious endnotes will lead the interested reader to the thickness of scholarship they crave. La actitud despótica que Israel demuestra a diario contra el pueblo palestino iguala a la que practicara Sudáfrica durante los años del Apartheid, que fuera lógicamente denostado por la comunidad internacional. Sin embargo Israel y el sionismo que controla desde hace años su gobierno parecen tener luz verde para las barbaridades que su política represiva comete en el marco de una ocupación ilegal desde todo punto de vista. No les basta con mantener en las prisiones del horror a más de 7.000 prisioneros y prisioneras palestinas, o haber enviado a la cárcel en lo que va de 2016 a 560 menores de edad sólo de la zona de Jerusalén, sino que ahora también han vuelto a desafiar (o provocar) a la racionalidad sancionando una ley a nivel parlamentario que permite la detención de niños de 12 años que hayan cometido delitos contra la seguridad israelí. Esto que en cualquier otro país del mundo generaría una oleada de protestas e intervención de organismos defensores de la niñez como UNICEF u otras plataformas de derechos humanos, a Israel le cuesta nada. Toda esta última algarada represiva comenzó, hay que recordarlo, cuando el año pasado, un grupo de colonos ultrasionistas, acompañados de integrantes del ejército bloquearon las calles de Jerusalén, intentaron entrar a la Mezquita de Al Aqsa y como se les plantó resistencia por parte de los custodios de la misma y numerosos jóvenes palestinos, los atacantes generaron un tumulto y arrojaron bombas al interior del lugar sagrado para los musulmanes. A partir de ese momento se desencadenaron múltiples protestas en toda Cisjordania y también en Gaza, el ejército israelí reprimió brutalmente y desde ese entonces hasta el presente cientos de palestinos han sido asesinados, detenidos y muchos de ellos torturados. De allí, de esa dificultad que el gobierno sionista tiene para someter a quienes todos los días resisten en las calles, surgen ideas descabelladas como la que ahora el Congreso israelí pone en práctica. “Si hay que encarcelar a los terroristas y sus hijos, lo haremos con gusto para asegurar la paz”, dijo en su momento la ministra de Justicia, Ayelet Shaked, la misma que adquirió notoriedad cuando siendo diputada por el partido Hogar Judío propuso asesinar a todas las madres palestinas que daban a luz “pequeñas serpientes”. Estas propuestas y otras similares tienen indudable peso en importantes sectores de la sociedad israelí, y es por eso que a nadie le resulte disparatado que parlamentarios de un país que tiene legalizada la tortura ahora apunte toda su batería represiva contra niños y niñas palestinas de sólo 12 años. Que en virtud de ello, estas criaturas puedan ser detenidas, interrogadas durante más de un mes (eso marca la oscura “legalidad” sionista), presionadas con todo tipo de torturas psicológicos y no pocos golpes (de esos que no dejan huellas, por las dudas algún organismo internacional osara interesarse en el caso) y finalmente enviados a esas cárceles-tumba por las que han pasado centenares de menores. La decisión de ese Parlamento del terror estatal no deja dudas sobre lo que ya se está poniendo en marcha, ya que la nueva ley permite detener a menores de 12, 13 y 14 años que hubieran sido acusados de lanzar piedras o “atacar a civiles israelíes y personal militar”. También da libertad a los tribunales israelíes “para aplazar la fecha de la transferencia del menor condenado de una instalación cerrada a una prisión, reducir la sentencia de prisión del menor sentenciado o cancelarla”. Con la nueva norma, los tribunales decidirán si un menor de hasta 12 años puede ser condenado a prisión, pero mientras duren esos “debates” en las Cortes, “el menor debe permanecer encarcelado en una instalación cerrada”. Aquí vale hacer una aclaración que descubre aún más lo tremendo de esta legislación: en la gran mayoría de los casos, son los ciudadanos israelíes los que actúan como improvisados jueces ya que apuntan con su dedo a hombres, mujeres o niños que se les ocurre -dentro de su paranoia belicista habitual- podrían convertirse o se hicieren sospechosos de realizar una agresión. Sin dudarlo, la soldadesca israelí en el mejor de los casos los detiene. En el peor, los asesina sin más miramientos. Allí hay decenas de vídeos mostrando estas ejecuciones sumarias. Por lo tanto, “la mayor democracia de Medio Oriente”, al decir del carnicero Netanyahu, produce de esta forma un nueva vuelta de tuerca que haría empalidecer al propio Herodes. Apuntan a quienes más temen: la niñez palestina, esos chicos y chicas que por la imposición de la ocupación han reemplazado los juegos y diversiones que son habituales en sus coleguitas del mundo y corren por las calles esgrimiendo el arma más temida: con su pequeños deditos hacen la V de la victoria. Israeli soldiers have shot dead a Palestinian man in the occupied West Bank. According to the Israeli army, the man was armed with a knife and charged at Israeli soldiers on the outskirts of the city of Nablus. He was killed before harming any soldier. Palestinian student activist Donya Musleh was sentenced to 10 months in Israeli prison and a fine of NIS 2,000 (approximately $500) on charges of “incitement” for posting on Facebook about the Israeli occupation and Palestinian resistance. Musleh, 19, a Palestinian refugee from Dheisheh camp near Bethlehem, is a student at Palestine National University and an activist with the leftist student organization, the Progressive Student Labor Front. She was arrested in a raid on her home in the camp on 16 November 2015. Musleh is one of hundreds of Palestinians arrested, charged, or ordered to administrative detention for posting their political opinions and views about their occupied homeland on social media. Just days ago, journalist Samah Dweik was sentenced to six months and one day in prison for posting on Facebook. Astrophysicist Imad Barghouthiis currently being charged with Facebook “incitement,” after winning an end to his administrative detention with the support of hundreds of international scientists. Poet Dareen Tatour is held in house arrest after three months in prison, for posting her poetry on Youtube. The PSLF is currently calling for a World Student Day of Solidarity with Bilal Kayed and Palestinian Prisoners on 25 July. Bilal Kayed, 35, is on hunger strike for the 37th day in protest of his administrative detention without charge or trial, imposed upon him after 14.5 years of Israeli imprisonment. The detention of two more Palestinian women, Banan Mahmoud Mafarjah, 21, a medical student at Al-Quds University in Abu Dis, arrested at an Israeli occupation “flying checkpoint” west of Ramallah on 16 July; andSamaher Abdul Qader Musalma, of Beit Awwa near al-Khalil, arrested on 18 July while visiting her husband Nabil in the Negev desert prison; were extended until Sunday, 24 July. There are approximately 61 Palestinian women currently held in Israeli jails. It is time for the citizens of the world to effect the paradigm shift required to bring about a peaceful resolution to the world’s most infamous conflict. Twelve years ago today, the International Court of Justice (ICJ) issued an advisory opinion at the request of the United Nations General Assembly on the legality of the wall Israel has constructed in the West Bank. The ICJ affirmed that all of the Gaza Strip and the West Bank, including East Jerusalem, are “occupied Palestinian territory”, and that Israel’s wall, as well as its settlements, violate the Fourth Geneva Convention. The ICJ’s ruling helps to underscore the prejudicial nature of the discussion about the Israeli-Palestinian conflict in the Western mainstream media—and particularly in the US. The media never fail to elevate Israel’s policy aims to the same level of legitimacy as international law. For example, we can frequently read in the New York Times, the Washington Post, et al, that East Jerusalem or areas where Israeli settlements are located are “disputed” territory—thus placing equal weight to Israel’s position as the entire rest of the planet, which recognizes Israel’s settlements as illegal and East Jerusalem as occupied Palestinian territory. Needless to say, this is not balanced journalism, but extremely prejudicial to the rights of the Palestinians living under foreign military occupation. When the illegality of the settlements is alluded to by the mainstream media (all too infrequently), they typically obscure it by saying something like: “Most countries do not recognize the legitimacy of Israel’s settlements.” This leaves readers with the impression that the matter is controversial, that there is debate about it within the international community, that there are two legitimate points of view. It affords validity to Israel’s position when it has none. Translated from newspeak, what that means is that every single government on planet Earth other than Israel itself recognizes the settlements as a violation of international law. The media bend over backwards to accommodate and attempt to legitimize Israel’s criminal policies. How can the media get away with such outrageously biased reporting? Furthermore, why is the US mainstream media so prejudiced against the rights of the Palestinians? The answer is simple: the policy of the US government is one of unconditionally supporting Israel’s violations of international law and the human rights of the Palestinian people. El primer ministro israelí, Benjamin Netanyahu, anunció hoy más medidas punitivas en Cisjordania como respuesta a nuevos ataques cometidos por palestinos. “Nos encontramos en una lucha continua contra el terrorismo”, dijo. “Utilizaremos diferentes medios, entre ellos medidas agresivas que en el pasado no utilizábamos”. Netanyahu aludió entre otros al bloqueo completo de la región en torno a Hebrón, que afecta a 700 mil personas. Los residentes del pueblo de Bani Naim, del que procedían algunos de los atacantes, perderán sus permisos de trabajo en Israel. El Ejército desplegará además otras dos brigadas en Cisjordania para vigilar las calles. Y se reforzarán los asentamientos judíos. Miles de personas participaron en el sepelio de un hombre que resultó muerto el viernes frente a sus hijos después de que presuntos atacantes palestinos dispararan contra su automóvil. La madre resultó gravemente herida en el incidente ocurrido cerca de Hebrón. A su vez, el jueves un adolescente palestino mató a una adolescente israelí mientras dormía cerca de la misma ciudad. El joven palestino resultó también muerto después que varios colonos lo fusilaran. En los últimos meses han muerto 35 israelíes en una serie de ataques de palestinos, frente a más de 220 palestinos asesinados, la mayoría de ellos acusados de perpetrar la agresiónes con cuchillos, lo que en muchos casos no resultó probado. El detonante de la violencia fue la invasión en octubre pasado por parte de colonos ortodoxos judíos de la Explanada de las Mezquitas y la frustración general por la ocupación israelí que se mantiene sin cambios. ¿Por qué bloquea Israel el acceso a sus archivos? Los académicos dicen que Israel está ocultando registros vitales para evitar que los períodos más oscuros de su historia salgan a la luz. Mientras que los archivos estatales pueden ser accesibles en internet, activistas de derechos civiles y académicos advierten de que Israel está bloqueando el acceso a millones de documentos oficiales para evitar que los episodios más oscuros de su historia salgan a la luz. Afirman que los funcionarios del gobierno están ocultando registros vitales necesarios para la investigación histórica, a menudo en violación de la ley israelí, en un esfuerzo para evitar dañar la imagen de Israel. El ejército israelí ha afirmado durante mucho tiempo que es el “más moral” del mundo. Llegan acusaciones de un creciente secretismo mientras Israel conmemora esta semana el 49 aniversario de la guerra de 1967, cuando tomó y ocupó la península del Sinaí, la Franja de Gaza, Cisjordania y los Altos del Golan. Muchos de los registros con acceso denegado se refieren a esa guerra y a los primeros años del régimen militar de Israel sobre los palestinos de Jerusalén, Cisjordania y Gaza. Menachem Klein, un profesor de política en la Universidad de Bar Ilan, cerca de Tel Aviv, dijo que los investigadores necesitan este tipo de documentos para obtener una imagen más clara de los acontecimientos de hace medio siglo, los objetivos de los políticos y las violaciones de los derechos humanos. “Hemos sido capaces gradualmente de exponer algo de lo que ocurrió en 1948 [la guerra que inició Israel] pero todavía hay muy poco disponible que pueda ayudarnos a entender la guerra de 1967”, dijo a Al-Jazeera. Como parte de las conmemoraciones de esta semana se publicaron archivos estatales con el testimonio de los comandantes militares de 1967. Sin embargo la prensa local señaló que páginas enteras habían sido censuradas por “motivos de seguridad”. São Paulo, 09 de Junio de 2016. En este momento actual de crisis e profundización del modelo del capital, donde la crisis global afecta la clase trabajadora y produce un proceso destrucción de la humanidad, es necesario poner en práctica o nuestro espíritu internacionalista con base en la solidaridad de clase. Ser solidario a la causa Palestina, es defender la legitimidad do su proceso de lucha y de resistencia, por eso es de fundamental importancia os nuestros esfuerzos en la movilización da militancia del MST para que juntos podamos concretizar la brigada de solidaridad este año. Después del último brutal ataque israelí a Gaza, ocurrido en 2014, y en medio al fortalecimiento das campañas internacionales pela liberación de los presos políticos palestinos e pelo derecho de retorno dos millares de refugiados palestinos en el mundo, el MST-Brasil ha organizado regularmente una Brigada Internacionalista de trabajo y solidaridad con el pueblo Palestino, y siempre invita a los Movimientos Populares del ALBA para que se sumen a esta acción de solidaridad mundial. En este año de 2016, se está preparando para realizarla en el mes de octubre de 2016, durante o período da cosecha de aceitunas, donde se conformará la III Brigada Internacionalista Ghassan Kanafani. La duración de la Brigada es de 30 días, siendo 15 días conviviendo con comunidades campesinas y contribuyendo en la cosecha de aceitunas, y 15 días conociendo a la realidad política de Palestina, reuniendo con movimientos populares y políticos del país. Sin acceso a tierra y la agua, aislados de sus labranzas por el muro del apartheid israelí y por centenas de puestos policiales y del ejército, atacados por militares y colonos israelíes cuando intentan cultivar sus tierras, os/as campesinos y campesinas Palestinos son algunos de los que más sufren con la ocupación israelí. Llevar nuestra militancia a Palestina, para conocer y convivir con el día a día de la lucha dese pueblo, y con nuestras manos e nuestros cuerpos contribuir con os/as campesinos/as palestinos a garantir su principal medio de sustento, es uno de los actos más genuinos de solidaridad e apoyo a la lucha Palestina por el derecho al retorno a sus tierras y contra a brutal ocupación israelí. Cada movimiento popular debe cubrir los costos de viaje de la persona indicada, incluyendo boletos y algunos recursos para llevar (300 a 500 dólares). Por ello, pedimos que empiecen el proceso de definición del nombre que va a la Brigada ese año y la articulación para cubrir los costos del boleto de su país de origen hasta Sao Paulo, donde habrá una preparación con todos los “brigadistas” y también el boleto Sao Paulo-Tel Aviv. Cualquier duda, pueden contactar al MST a través del email: cassia@mst.org.br. ​A message from Beit Zatoun! Amazing - what a week it was as Palestinian Solidarity activists battled the clock to defeat the surprise tabling of a private member's bill at Queen's Park on Tuesday afternoon, namely, Bill 202, Standing Up Against Anti-Semitism in Ontario Act, 2016 (click for text). Having learned about it only on Wednesday morning and heading for a 2nd reading/vote the very next day there was no time to waste. In a packed 36-hour period of intense communication and immediate action the bill was resoundingly defeated 18 to 39 votes. ​Please write or call to thank your local MPP who voted against (see contact list). Congratulations to the many organizations who banded together and self-organized several initiatives including petitions and contacting MPPs under severe timelines to pull off a huge victory. 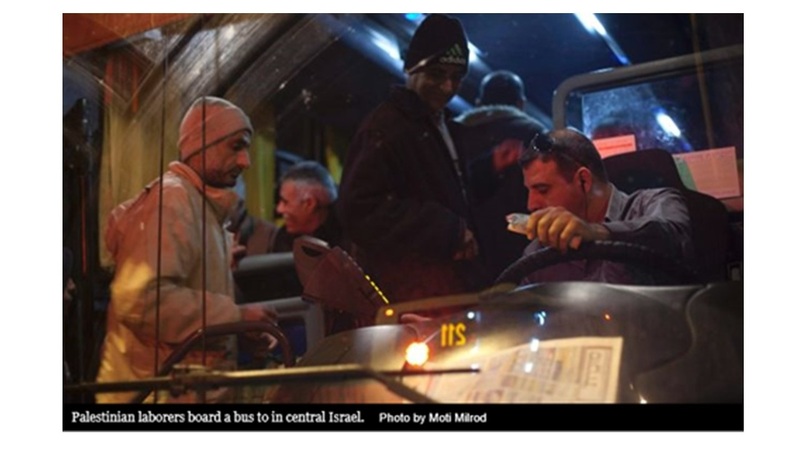 See summary article from Electronic Intifada. Also see article by Ilan Pappe about need to stand up for BDS. Toronto is facing criticism both at home and abroad as a city official is slated to give the keynote speech at a conference in Jerusalem that Palestinians say “aims to whitewash” life under Israeli occupation. Uzma Shakir, director of Toronto’s Office of Equity, Diversity and Human Rights, is scheduled to host the first session at the “Jerusalem as a Culturally Competent City” conference, taking place at the Jerusalem Cinematheque on 17 May. “It’s appalling that [Toronto] Mayor John Tory has allowed the city of Toronto to participate and, in fact, even more appalling that it’s doing that participation through the Office of Equity, Diversity and Human Rights,” said Mary-Jo Nadeau, a member of the Coalition Against Israeli Apartheid (CAIA), a Toronto-based group that is circulating a petition calling on the city to cancel the speech. By Friday afternoon, the petition had garnered nearly 500 signatures. CAIA organised a small rally on Friday afternoon in front of Toronto city hall. See more here! On 30 March 1976, Palestinian citizens of Israel declared a general strike and held large demonstrations against land expropriations by Israeli authorities in the Galilee. Now observed annually as Land Day, these events marked the first organized popular rebellion by Palestinians inside present-day Israel. They had undergone three decades of disenfranchisement and intimidation. In 1948, Zionist militias, which would later constitute the Israeli army, occupied the majority of historic Palestine. Using force and the threat of force, some 750,000 Palestinians were expelled. Those who remained in the territory then unilaterally declared as Israel were granted Israeli citizenship, but the new authorities imposed military rule on them that was not lifted until 1966. Even after military rule, systematic Israeli attempts to squelch Palestinian dissent and colonize both land and minds continued. The Zionist project is fixated on controlling as much land as possible with as few Palestinians on it as possible. It has used both naked violence and legal frameworks to gradually reduce Palestinian land ownership in present-day Israel to just a tiny fraction of what it was before 1948. What is the difference between a textbook publisher giving into pressure from Christian fundamentalists seeking to censor the teaching of evolution, and a publisher giving in to Zionists seeking to censor awareness of the ethnic cleansing of Palestine? Neither phenomenon is a matter of opinion or perspective. One act of censorship denies facts established by scientific research. The other denies the documented violation of international law (for instance, the Fourth Geneva Convention) and multiple UN resolutions. So the answer to the question just asked is – there is no difference. In early March 2016 executives at McGraw-Hill took the extreme step of withdrawing from the market a published text, Global Politics: Engaging a Complex World, and then proceeded to destroy all the remaining books held in inventory. (Did they burn them?) Global Politics, which had been on the market since 2012, was a text designed by its authors to “offer students a number of lenses through which to view the world around them.” Why did McGraw-Hill do this? En los últimos meses estamos asistiendo a una campaña mediática e institucional, cada vez más virulenta, contra el movimiento de Boicot, Desinversiones y Sanciones a Israel (BDS). El movimiento BDS es una iniciativa pacífica surgida en 2005 de gran parte de la sociedad civil palestina como alternativa para luchar de forma activa contra la ocupación, la colonización y el régimen de apartheid que Israel practica desde hace décadas contra el Pueblo Palestino. Este movimiento está inspirado en el modelo de boicot que contribuyó en gran medida a obligar a Sudáfrica a desmantelar el régimen de apartheid que sometía a la población negra. Sus objetivos son muy sencillos: el cumplimiento de la Resolución 194 de la ONU (derecho al retorno de los refugiados palestinos), de la Resolución 242 (retirada de Israel de los Territorios Ocupados) y el fin de la discriminación que sufren los palestinos que aún viven en Israel. Instructores del ejército israelí entrenan a niños y niñas para que, como ellos, reivindiquen el culto a la muerte matando palestinos. Resulta interesante analizar el paralelismo que existe no ya entre el apartheid sudafricano y el israelí, que resulta evidente, sino entre los intentos de criminalizar a los movimientos civiles que, ayer en defensa de la población negra sudafricana, y hoy en defensa de los palestinos, lucharon y luchan contra el racismo y el apartheid. Este paralelismo puede plasmarse de modo muy sintético en dos puntos. El primero es el apoyo de los gobiernos occidentales a ambos regímenes. En el imaginario colectivo de la opinión pública actual, la lucha contra el apartheid sudafricano siempre fue una historia de “buenos y malos” en la que los países democráticos apoyaron sin reservas desde el principio a la población negra oprimida. Esto no es en absoluto cierto: el régimen de apartheid sudafricano recibió durante décadas el apoyo de muchos gobiernos occidentales, especialmente desde EEUU y Gran Bretaña. Nelson Mandela, transformado hoy en un símbolo mundial de la lucha contra el racismo, no fue excluido de la lista oficial estadounidense de presuntos terroristas hasta 2008. En los calurosos veranos, en numerosos lugares de los territorios ocupados, incluida Ramala, los palestinos abren los grifos pero no cae una gota de agua. Los grifos están secos. En otros lugares, hay agua pero es de muy poca calidad. A menudo ni siquiera es potable. Aunque los palestinos disponen de agua, Israel ejerce un férreo control del líquido y les limita el consumo según sus intereses. La calidad del agua, especialmente en la Franja de Gaza, es pésima. Un reciente informe elaborado por la ONG israelí BTselem señala que el 90% del líquido al que tienen acceso los habitantes de la Franja no es potable y no es apta ni para el consumo ni para cocinar ni para ducharse ni para lavarse los dientes: está demasiado salada y sucia, además de contener un alto porcentaje de nitratos cancerígenos. Los cólicos y las enfermedades de la piel son moneda corriente. La campaña Boicot, Desinversiones y Sanciones (BDS) contra Israel en Colombia anunció el miércoles pasado una victoria sobre la empresa G4S, multinacional británica que presta equipos y servicios de seguridad a las cárceles israelíes y a los asentamientos ilegales. BDS logró, después de una campaña que sostenía por más de un año, que la empresa colombiana reconocida por su política de responsabilidad social empresarial, Crepes & Waffles, decidiera terminar sus contratos con G4S. En 1977 la Asamblea General de la ONU pidió que el 29 de noviembre se estableciera anualmente como Día Internacional de Solidaridad con el Pueblo Palestino (Resolución 32/401) brindando así a la comunidad internacional la oportunidad de centrar su atención en el hecho de que la cuestión Palestina aún no se ha resuelto. Los palestinos aún no pueden ejercer los derechos inalienables reconocidos por la Asamblea General. Y en el 2012, también ese mismo día, concede al Palestina el estatus de estado observador no miembro de la entidad. In response to Israel’s ongoing campaign of violence and aggression, a new wave of Palestinian resistance has erupted. We, the undersigned, affirm our solidarity with this mass popular resistance, in all its creativity, vibrancy, and courage. We are inspired by the new generation of fearless Palestinian youth, marching in the footsteps of previous generations, as it asserts its right to self-determination and freedom from settler colonialism and apartheid. We wish to express our strongest solidarity with Palestinian students and faculty, who struggle against a system of occupation and apartheid that has systematically targeted and disrupted their access to educational institutions. As students and faculty fighting for accessible higher education and better academic working conditions in Canada/Turtle Island, we stand firmly in support of their right to education. We affirm our solidarity by supporting the call for cultural and academic boycotts against Israeli institutions, and for divestment from companies that are complicit in Israel’s violations of international law. Since October 1st, Israel has killed 74 Palestinians and injured 2000 more. Over 1300 civilians have been arrested during that time. Despite the brutality of Israel’s actions, the Palestinian people continue their struggle for justice and freedom. We are inspired by their unwavering resistance. People of conscience in Toronto are joining over 100 cities in a global wave of solidarity with the Palestinian people. We are committed to intensifying our support for their popular resistance through the Boycotts, Divestment, and Sanctions (BDS) movement. El ejército israelí es el más inmoral del mundo, ¿y qué? Entre el 8 de julio de 2014 y el 18 de ese mismo mes, el ejército invasor de Palestina bombardeó la Franja de Gaza y asesinó a 230 palestinos. Y ese 18 de julio, tres niños, -Wesin, de 6 años; Yihad, de 7, y Fulla Sheheibar, de 10-, jugaban en la azotea de su casa cuando fueron asesinados con las bombas que les tiraron los sionistas. Hasta entonces, sólo un mercenario del ejército invasor había muerto. Estamos en el 18 de julio, los niños y niñas palestinos asesinados por Israel suman 45 de esos 230 palestinos asesinados. El 24 de julio (6 días después) los israelíes ya habían asesinado a 150 niños y niñas palestinos. El 26 de agosto (22 días más tarde, el día que los invasores se vieron obligados a firmar el alto el fuego) los israelíes llevaban asesinados 501 niños y niñas palestinos, según la ONU. Ha transcurrido poco más de un año, y ustedes conocen los últimos acontecimientos, lo ocurrido en el mes de octubre pasado, la persecución de los invasores y sus colonos sobre los niños, las niñas, y la adolescencia palestina ha dejado casi un centenar de muertos y muchos heridos con balas reales, casi mil heridos con balas forradas de caucho, y otros casi mil capturados y llevados a prisiones de Israel. Este pasado 30 de octubre un vehículo de gran tamaño, de color verde oscuro del ejército ocupante, entró en el campo de refugiados de Aida, Betjhlehem, Belén; las calles estaban vacías, no había nadie a la vista, pero lo observamos sin que nos vea, andaba muy despacio mientras por sus altavoces soltaba una amenaza terrorista; raja el aire y golpea los oídos secamente, desde la fortaleza militar israelí se nos advierte: “Os habla el ejército israelí. Si continuáis tirando piedras os arrojaremos gas hasta mataros a todos: niños, jóvenes, mujeres, ancianos, todos moriréis, os mataremos a todos, no dejaremos a nadie con vida”. Ese es el ejército israelí, el ejército de ocupación colonial, el ejército más inmoral del mundo. ¿Y qué?, eso preguntaba públicamente un ministro del gobierno de ocupación colonial. El gobierno israelí quiere una respuesta. Tras el acuerdo de paz en Gaza, el 26 de agosto de 2014 las gentes de las tiendas y de los puestos en los mercados ofrecían todo lo que tenían a quien lo necesitase; las familias acogían a quienes habían quedado sin familia, las gentes se visitaban o se encontraban y se abrazaban, se preguntaban por unos y otros, se daban el pésame y se ayudaban a enterrar dignamente, a veces en pedazos, a los mártires. La solidaridad, más grande que nunca, se hizo presente en todo Gaza. Ante semejante acción humana el traductor me dijo: “Es como sobrevivir a un diluvio”. Los hospitales y los ambulatorios, en su mayoría, habían sido echados abajo, se mantenía un hospital en pie, y algún otro centro a medio derruir, que abarrotados de gente herida, con olor a sangre y con escasísimos medios, tenían que disponer de enfermeros y enfermeras en las entradas para no dejar pasar a la multitud que se ofrecía a salvar vidas. Los israelíes habían bombardeado a la población, 1.800.000 de personas, en su mayoría refugiada, el 50% niños, niñas y jóvenes de Palestina. Entre los pueblos del mundo se respiró más solidaridad que nunca con el pueblo palestino. Esa fue la respuesta al ministro asesino israelí. Hace tan sólo unos días Netanyahu exculpaba a Hitler de sus crímenes; así supimos cómo hacía suyos los crímenes de éste, y es que su ejército de ocupación y su gobierno son el resultado de los intereses del capitalismo sionista por la explotación humana, la deportación y la implantación del racismo como algo normal. Es el nazismo de nuestra época, el nuevo fascismo, que ya tenemos delante. Últimas noticias: El embajador palestino en Naciones Unidas ha denunciado que el ejército ocupante se lleva los cadáveres de palestinos y palestinas que mata y los devuelve tras robarles las córneas y otros órganos vitales. Los sionistas se dedican al tráfico de órganos. Repetimos lo dicho ayer: en Palestina no hay sábados ni domingos, sólo hay agresión brutal y más agresión. Día a día, hora a hora. El ejército israelí asesina impunemente y los muertos palestinos siguen engrosando la lista de mártires. En las calles los jóvenes luchan con lo que tienen a mano, que no es mucho, pero su dignidad y valentía alcanza para mostrarle al mundo que allí, en ese pequeño territorio (ocupado, usurpado, diezmado, humillado por los invasores) no hay paz ni podrá haberla hasta que no se retiren quienes desde 1948 han querido convertir a Palestina en un cementerio. Decimos esto, porque más allá de la aparente lejanía desde la que se observa el día a día de este genocidio, Palestina nos está interpelando, esperando desentumecer la comodidad en la que estamos instalados. Nosotros, en ese sentido, creemos que nuestro deber es INFORMAR, mostrar el horror sionista y la resistencia al mismo, dar los nombres de los caídos, y generar conciencia para que nadie se vea tentado a mirar a un costado. Jewish terrorism against Arabs is being subsidized by US tax money, a complaint filed with the New York State Attorney General's Office alleges. It centers on a non-profit organization that provides money to Jews accused of violence against Palestinians. The Israeli organization Honenu provides financial support to Jews convicted of or on trial for violent acts against Palestinians – including so-called “price tag” attacks in the West Bank. The complaint centers around the fact that the non-profit is tax-exempt, implying that taxpayers are essentially subsidizing a non-profit that defends those convicted of extreme violence. “Just as we would be furious to learn of tax-exempt money going to Hamas or ISIS, we must not allow US taxpayers to subsidize money that is given strings-free to members of our own people who are accused or convicted of terror,” the executive director of T'ruah: The Rabbinic Call for Human Rights, Rabbi Jill Jacobs, told the Jewish Telegraphic Agency. T'ruah, a Jewish organization which aims to “respect and protect the human rights of all people,” filed the complaint to the charities bureau of New York State Attorney General Eric Schneiderman on Monday. The complaint urges the attorney general to investigate Honenu and its fiscal sponsor, the Central Fund of Israel, both of which are located in New York. Honenu has had a New York-based franchising branch since 2003. In 2010, the last year for which data is listed, the organization raised $233,700 in the US, according to tax filings. Much of Honenu's money is used for the defense of Jews on trial for violence against Arabs, as well as those who have refused to vacate illegal Jewish settlements in the West Bank. Some of the cash, however, is spent on helping Jewish extremists, The Jewish Telegraphic Agency reported, citing a recent Channel 10 expose of Honenu.In 2013, Honenu sent funds to the family of a Israeli convicted of killing seven Palestinians in May 1990; the families of two Jewish-Israelis convicted of attempted murder for trying to plant a bomb at a girls school in eastern Jerusalem in 2002; and the son of a former Israeli Knesset member who kidnapped and abused a Palestinian boy in 2010. This information has prompted Honenu's critics, including T'ruah, to compare the organization to Hamas. “Honenu is doing exactly what Hamas and the PLO have been criticized for — providing personal support, if not incentives, for those who commit terrorist acts against others,” says the complaint, which was filed Monday.According to documents obtained by Channel 10, Honenu's 2013 budget was approximately $600,000. About one-quarter of the money went to lawyers defending those on trial for actions against Arabs, or for activities in the West Bank. About $50,000 went directly to Jewish prisoners. The filing comes just weeks after an arson attack by suspected right-wing Jewish settlers killed an 18-month-old Palestinian child and his father in a house in the occupied West Bank. One year ago today, Israel began its overwhelming 50-day military attack on Gaza while the world’s governments looked on. Israel was armed—and diplomatically protected—by my country, the United States. Over 2,200 Palestinians were killed, the vast majority of them civilians. Seventy-one Israelis were killed, 5 civilians. You took to the streets, the airwaves, and social media to say the loss of any life was one life too many, and that one of the world’s most technologically advanced armies had to stop bombing people hiding in schools, apartments, and hospitals. People, we all reminded the world, who had already suffered for years from dispossession, the Israeli military-enforced occupation, and siege. Today, we are re-releasing the Gaza Names video and website we produced with the Institute for Middle East Understanding (IMEU). Narrated by Wallace Shawn, and featuring many artists and activists you will recognize, this 4 minute video shows the names and some of the faces of those who were killed. It reminds us that Palestinians in Gaza are still living under siege. Still traumatized. Still resilient. And still fighting for their freedom. The Palestinian-led Boycott, Divestment, and Sanctions movement is 10 years old this week. Nonviolent BDS campaigns to pressure Israel to abide by international law are making a difference faster than anyone ever imagined. They are uniting diverse people from around the world who believe in justice, equality, and dignity for all peoples of Israel/Palestine. This movement must and will grow. Please. Join us. Please, recommit to building a movement for justice. Let's lead with actions, not just words. The United Nations Independent Commission of Inquiry into the 2014 Gaza War has just been made public, and with it, finger pointing on both sides has already begun. However, this time investigators have made it clear that both Israel and Palestine committed war crimes. The report covers the 2014 Gaza Conflict, also known as Operation Protective Edge. It lasted just over a month from July to August last year, and in that short period of time caused a mass of devastation. According to UN statistics, over 2,000 people were killed during the war with around 500 of those being children. The reason for the high level of child death is explained by the bombing methods used by Israel. According to the report, homes were targeted specifically during the evening (times when children are traditionally home for dinner or rest). Because of this, the air strikes were far more likely to cause injury and death to children. Support the right of the people of Khirbet Susiya, Palestine, to remain on their land. Their entire village faces the threat of demolition. The entire Palestinian village of Khirbet Susiya (also known as Susiya) in Area C of the occupied West Bank may soon be demolished to make way for illegal Israeli settlers. Once this happens, the families of Susiya will be left homeless in harsh desert conditions. Of the 450 residents, 120 are children. This current situation is particularly alarming because the Israeli government has also taken steps to forcibly transfer as many as 7,000 Palestinians from 46 Palestinian communities in other parts of Area C to make way for more illegal settlements. United Nations Secretary-General Ban Ki-moon has said that, if this plan goes ahead, it will be in violation of international law and represent a grave breach of the Fourth Geneva Convention. The forced transfer of protected persons in an occupied territory is a forbidden act under international law and is defined as a war crime. "Juanes: Cancel your concert in Israel"
We ask you to act in the name of justice and cancel your concert in Ra´anana, Israel, on June 30th, 2015. We ask you this because for decades, the state of Israel has violated international law and the rights of the Palestinian people. In 2005, Palestinian civil society took action to confront this oppression and called for a Boycott against the state of Israeli, inspired by the South African struggle against apartheid. We strongly encourage you to respect the call from Palestinian civil society to boycott Israel until there is justice, and the illegal occupation and the oppression of the Palestinian people by the state of Israel ends. Israel, ignoring numerous resolutions of the United Nations and violating the principle agreements of International Law, has maintained for 7 decades, a regime of military occupation, colonization with settlements, and legal apartheid. For this reason, playing a concert in this country means making this reality invisible and hiding it under the banner of culture and multiculturalism. There cannot be multiculturalism in a territory where the existing culture is denied, made invisible, and attacked: in 2002 the Israeli army flattened the Khalil Sakakini cultural center in Ramallah and in this operation destroyed the manuscript of the great poet Mahmoud Darwish, which was a irreparable loss to the cultural heritage of the Palestinian people. They also demolished the well-recognized Stone Theater of Jenin, illegalized theater and cultural groups such as the traditional dance group Al-Founoun. In 2012 they destroyed and vandalized two Palestinian television stations and artists and students are persistently repressed and detained, like the folk dancer Lina Khattab or the artist Mohammed Sabaaneh (amongst others). Important artists and personalities have supported and respected the cultural boycott from Archbishop Desmond Tutu to Carlos Santana, Roger Waters, Elvis Costello, The Pixies, and many others. These artists have committed to not playing in Israeli until the occupation and the oppression to the Palestinian people is ended. We hope that you understand that playing in Israel is the same as having played in South Africa during apartheid. For these reasons, as BDS Colombia and the below signatories, we invite you to show your solidarity with the Palestinian people and cancel the concert that you have planned for June 30th. Finally, we invite you to reject the illegal Israeli occupation and join the boycott against Israel. The Walk for Palestine is a day for all people from all walks of life to come together in solidarity for the people of Palestine. This year the walk will be held at Yonge-Dundas Sq at 3PM and we will walk to the US Consulate (360 University Ave). The Public Health Social Justice Collective is proud to announce a special panel discussion on the politics of health and disease and its impact on the Palestinian body, nation and land. The Israel-Palestine conflict offers an important site of analysis for the various uses and misuses of public health to legitimize competing ideologies. More importantly, it reveals our tendency to overlook sociopolitical complexities and power differentials when intervening in health systems and their processes. This panel will explore the dangers associated with this approach and highlight those public health efforts which have mobilized to alleviate the social suffering faced by Palestinians living within Israel and the Occupied Territories of West Bank, East Jerusalem and the Gaza Strip. In solidarity with Palestinian struggles for justice, individual health professionals and groups like Physicians for Human Rights-Israel have attempted to articulate and practice a politics of health that confronts the occupation as a social disease in Palestinian society. We invite you to join us and our panelists in a thought-provoking discussion on the type of relationship we must develop as a public health community to the politics of occupation and apartheid. Please contact us at socialjusticecollective@gmail.com for further information. Alternatively, you can connect with us on Facebook at http://www.facebook.com/event.php?eid=130041070401860. Abigail Bakan is Professor of Political Studies and Chair of Undergraduate Studies at Queen's University in Kingston, Ontario. Judy Rebick is a well-known social justice activist, writer, journalist, educator and speaker. She was also one of eight Jewish women who occupied the Israeli consulate in protest of the attack on Gaza in 2009. TUESDAY, March 8: Film Screening of "Jaffa, The Orange's Clockwork"
Jaffa, The Orange's Clockwork is a political essay unfolding the story of the invention and the visual history of the world's wide famous citrus fruit originated in Palestine and known around the world as "Jaffa oranges". This is a panel discussion about the Right to Education at home and abroad and the importance of building links between struggles to ensure that education is not only accessible but equitable for all. Judith Butler is Maxine Elliot Professor in the Departments of Rhetoric and Comparative Literature and the Co-director of the Program of Critical Theory at the University of California, Berkeley. Paul Kellogg is an assistant professor in the Master of Arts Integrated Studies program at Athabasca University in Alberta. He received his Ph.D. (in Political Studies) from Queen's University, and his M.A. (in Political Science) from York University. John Greyson is a Toronto video artist/filmmaker whose features, shorts and installations. As an associate professor in Film at York University, he was awarded the 2007 Bell Canada Award in Video Art. Riham Barghouti is a founding member of the Palestinian Campaign for the Academic and Cultural Boycott of Israel, which is part of the BDS National Committee in Palestine. Ali Abunimah, a writer and commentator on Middle East and Arab-American affairs, lives in Chicago. His articles have appeared in The New York Times, The Los Angeles Times, The Chicago Tribune, The Financial Times, The Philadelphia Inquirer, The Jordan Times, Lebanon's Daily Star and Ha'aretz, among others. The Bus Tours offers the chance to increase awareness and produce a more thorough history about the Toronto's rich indigenous history, lifestyles, medicines, and forms of government. The duration of the tour is three hours. Tickets are sliding scale: Requested $10 minimum. Tickets can be purchased in person at Israeli Apartheid Week Events from March 7-13th (6:30-9:00pm) and at The Native Canadian Centre of Toronto during that week as well (9 am-5 pm). First launched in Toronto in 2005, IAW has grown to become one of the most important global events in the Palestine solidarity calendar. Last year was incredibly successful with over 55 cities worldwide participating in the week's activities. In Toronto, IAW 2010 featured a full week of events celebrating 5 years of Boycott, Divestment and Sanctions (BDS) successes. IAW 2011 takes place following a year of incredible successes for the BDS movement on the global level. Lectures, films, and actions will highlight some of these successes along with the many injustices that continue to make BDS so crucial in the battle to end Israeli Apartheid. Barrio Nuevo, BASICS Free Community Newsletter, Canadian Arab Federation, Caribbean Studies Students' Union (UofT), Centre for Women and Trans People at UofT, Centre for Women and Trans People (York), Coalition Against Israeli Apartheid, Educators for Peace and Justice, Environmental Justice Toronto, Equity Studies Students' Union (UofT), Faculty for Palestine, Graduate Geography and Planning Student Society (UofT), Graduate Students' Association (York University), Graduate Students' Union - Social Justice Committee (UofT), Greater Toronto Workers' Assembly, Health Studies Students' Union (UofT), Holy Land Awareness and Action of the United Church of Canada, Independent Jewish Voices-Toronto, International Socialists - Toronto, District Labour for Palestine, Latin American and Caribbean Solidarity Network, Moyo Wa Africa, New Socialist Group, No One Is Illegal, Not In Our Name: Jewish Voices Opposing Zionism, Ontario Public Interest Research Group - Toronto, Ontario Public Interest Research Group - York, Palestine House, Public Health Social Justice Collective, Queers Against Israeli Apartheid, Ryerson Free Press, Salaam: Queer Muslim Community, Science for Peace, Socialist Project, SESE Student Caucus, Sikh Activist Network (York), Toronto Bolivia Solidarity, Toronto Coalition to Stop the War, Teachers for Palestine, Toronto Free School, Toronto Haiti Action Committee, Toronto New Socialists, Ugnayan ng Kabataang Pilipino sa Canada/Filipino Canadian Youth Alliance, United South Asians at York, University of Toronto Students' Union, Upping The Anti, Venezuela We Are With You Coalition, Women and Gender Studies Students' Union (UofT), York University Free Press. SPIN was born in Guatemala in the middle of a "civil war". Forced into exile the day after his eleventh birthday, his poetry has been defined by the injustices his own eyes witnessed while living in Guatemala, the absence of his father, the culture of Hip Hop, his mother's early teachings on the oppression of the Palestinian people and US Army atrocities. Most impacting to SPIN's early lessons was the suffering of the Maya indigenous people who make up the majority of the population in Guatemala, just as ethnic people make up the majority of the population in the world. Ali Dahesh: Ali Dahesh, Born in Tehran, his family left Iran when he was six years old due to rising violence in the region he still identifies as home. As the war progressed and violence left no mercy, Ali and his family had no choice but to journey to neighbouring Turkey and Greece, and then finally came to settle in Saskatchewan, Canada in January of 1992. Ali expresses his soul-hearted strength through his soul productions. He hopes to continue collaborating with artists everywhere to increase awareness to stop world violence through the power of music. On January 27, Holocaust Remembrance Day, leading politicians from the U.S. and Europe will join in honoring the memory of Jews killed in the Nazi genocide. Yet the immensity of that tragedy is dishonored by the hypocrisy of the ceremonies: those who pay homage to the victims of yesterday's silence are silent about today's inhumanity. We say, "Never again!" For anyone. Never again for the people of Gaza. Never again for all those struggling against dehumanization, racism and genocide everywhere, every day. Please join us in welcoming Dr. Hajo Meyer, who will be sharing the lesson of his experience in Auschwitz: Never Again for Anyone. Dr. Meyer will be on tour in the U.S. and Toronto is his only Canadian stop. including a local Toronto Facebook page. On Tuesday, January 11, 2011, the Jewish Defense League of Canada (JDL) will be hosting a rally in support of the Islamophobic English Defense League (EDL) in Toronto. The JDL is hosting an online address from Tommy Robinson, the leader of the EDL. Both groups have a history of violence aimed at Arab and Muslim people. We are community groups that work daily to fight racism. We have come together to condemn the Jewish Defense League for their Islamophobia and for their support for the racist English Defense League. WHO IS THE ENGLISH DEFENSE LEAGUE (EDL)? The English Defense League is a far-right extremist organization that was founded in 2009. Their organizing principles are to oppose the ‘spread of Islam’ in the United Kingdom. The EDL has organized violent street marches that target Arab and Muslim people. They operate in the UK, but have been reaching out internationally to make links with extreme-right groups in Sweden, the United States, Canada and Israel. They are part of the alarming rise in fascist, racist and neo-Nazi organizing in Europe over the last few years, including attacks on Muslims, immigrants and Roma people. WHO IS THE JEWISH DEFENSE LEAGUE (JDL)? The JDL is a far-right, pro-Israel organization that was founded in the 1960s by Meir Kahane, an extremist who advocated violence against, and even the mass-murder of Palestinians and Arabs. The racist, violent ideology advocated by Kahane, and embraced by the JDL, has motivated hate crimes against Palestinians and other Arab people. An FBI report has identified the JDL as “a right-wing terrorist group” and Kach and Kahane Chai – two groups associated with the Kahanist movement – were even banned in Israel for their extremism. In Canada, the JDL is allowed to operate with impunity. They have not been condemned by the government and are often interviewed by the media as a legitimate organization. They are led by Meir Weinstein – a longtime follower of Kahane, who was a spokesperson for the Kahanist movement and once joined a Facebook group called ‘Death to the Arabs’. This rally is part of their escalating racist tactics – they have a history of bullying and intimidation of Palestine-solidarity activists in this city. WHO ARE WE? We are community organizations that are alarmed by the rise of extremist right-wing groups globally. These groups are exploiting the global economic crisis, to stir up racist and anti-immigrant sentiment. We have seen the consequences of extremist right-wing organizing too many times in history. We will fight any attempts to use racism and hatred to divide poor and working people. As community organizations that work daily to fight racism, we have come together to denounce this racist and fascist rally in our city. As long as groups like the JDL and EDL are spreading their hatred and violence, we will be here to oppose them.